Piloto Tra. NISSAN MAXIMA III (J30), 4 puertas. Nuestra experiencia desde 1981 en el sector nos avala. Llama ahora ! También atendemos por whatsapp. En todo material eléctrico NO podemos ofrecer Garantías, si el vehículo tuviera algún cortocircuito o algún otro problema no detectado quedaría inservible la pieza. 2x HB3 Xenon Look XENOHYPE Ultra Halogenlampe Birne 12V 60 Watt 9005 P20d. Leuchtfarbe: 10% weisslicher. Xenohype Ultra mit klarer Ausleuchtung, die als perfekter Ersatz für Ihre Standardlampen sind. Fits Model: MAXIMA QX (A33). They will upgrade the standard bulb. 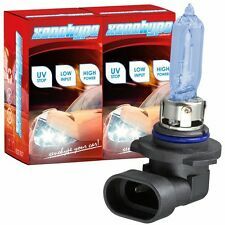 HB3 type bulbs are mainly used as headlight bulbs. You should always replace the bulbs on both sides of the vehicle. You can fit these bulbs yourself, the job requires no specialist tools or knowledge, just patience! Fits Model: MAXIMA QX (A33). They will upgrade the standard bulb. They are also known as 9005 type bulbs. You should always replace the bulbs on both sides of the vehicle. You can fit these bulbs yourself, the job requires no specialist tools or knowledge, just patience! Fits Model: MAXIMA QX (A32). They will upgrade the standard bulbs. 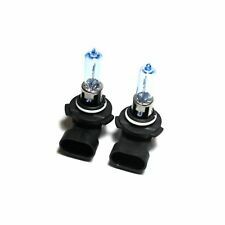 H3 type bulbs are mainly used as headlight or foglight bulbs in older vehicles. They are easy to recognise as they have a little wire running from the base of the bulb. El coche monturas de 1 par de H3 niebla de luz posición. 2 LAMPARA H3 12V 55W. Ofrecemos más de 450 horas . lámparas para automóviles Nissan Maxima 1994 > 2000. Una calidad de haz de luminosto para una experiencia de conducción óptima. Lampade per autovettura Nissan Maxima 1994>2000. la vettura monta 1 coppia di H3 in posizione fendinebbia. 2 LAMPADA H3 12V 55W. Offrono una durata superiore di 450 ore . La maggiore luminosità, con la luce del 40% più bianca, fa della WhiteVision la combinazione perfetta di stile e sicurezza. Servizio Whatsapp Nei casi sopra indicati, provvederemo a restituire al mittente il bene acquistato. Utilizzo anche parziale del bene e di eventuali materiali di consumo;. IBAN: IT69 V054 2441 4600 0000 1001 446. Llama ahora y consigue tu pieza. Wir können es überprüfen. Nous pouvons le vérifier. Canbus Error Free: Yes (2 X Ceramic Canbus Wiring Harness Included). CANBUS LED Conversion Upgrade KitHB3 / Main Beam. Technology: Super Bright Cree with crystal projector lens & SMD LEDs for 360 degree shine. Technology: Titanium Series Design - 4x Super Bright XBD CREE with Trademark Mushroom Light Dispersion Unit. Canbus Error Free: Yes (2 X Ceramic Canbus Wiring Harness Included). CANBUS LED Conversion Upgrade KitHB3 / Main Beam. Canbus Error Free: Yes (2 X Ceramic Canbus Wiring Harness Included). CANBUS LED Conversion Upgrade KitHB3 / Main Beam. LED Bulbs are a perfect upgrade for your existing standard halogen bulbs in your vehicle. Canbus Error Free: Yes (2 X Ceramic Canbus Wiring Harness Included). CANBUS LED Conversion Upgrade KitHB3 / Main Beam. Technology: Titanium Series Design - 4x Super Bright XBD CREE with internal light dispersion unit. Canbus Error Free: Yes (2 X Ceramic Canbus Wiring Harness Included). CANBUS LED Conversion Upgrade KitHB3 / Main Beam. Technology: 60x SMD LED (Special Design to shine 360 degrees). LED Bulbs are a perfect upgrade for your existing standard halogen bulbs in your vehicle. 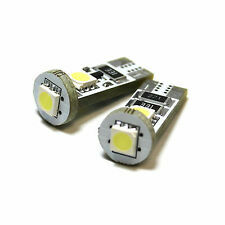 Type: 26x SMD 5050 (R10W). Socket Codes: 382 - P21W - BA15s - 1156. Error Free: Canbus. They also have a considerably longer lifespan, draw less power, generate less heat and are FAR brighter than standard bulbs! Type: 10x SMD 5630 (R10W Samsung Chip). Socket Codes: 382 - P21W - BA15s - 1156. They also have a considerably longer lifespan, draw less power, generate less heat and are FAR brighter than standard bulbs! Canbus Error Free: Yes (2 X Ceramic Canbus Wiring Harness Included). CANBUS LED Conversion Upgrade KitHB3 / Main Beam. Technology: 60x SMD LED (Special Design to shine 360 degrees). May also work for other applications. Contains Xenon & Krypton Gases. Bulbs are 6000K Colour Temp. Fused Quartz glass with ion coating for a high light output and long life. HID Look at a fraction of the cost. Type: 8x LED (44mm). Socket Codes: 272 - C5W - SV8,5-8 - 239. They also have a considerably longer lifespan, draw less power, generate less heat and are FAR brighter than standard bulbs! Colour: White. Type: 6x LED (36mm Flux). Socket Codes: 272 - C5W - SV8,5-8 - 239. They also have a considerably longer lifespan, draw less power, generate less heat and are FAR brighter than standard bulbs! Colour: White. Socket Codes: 272 - C5W - SV8,5-8 - 239. Type: 6x SMD 1210 (39mm With Tube). They also have a considerably longer lifespan, draw less power, generate less heat and are FAR brighter than standard bulbs!